A warm and friendly guest house located in central Keswick. An ideal base for walking, cycling and touring. We have 4 well appointed en-suite double rooms all tastefully furnished with central heating, colour tv, free wi-fi, tea & coffee making facilities, toiletries and fluffy white towels. 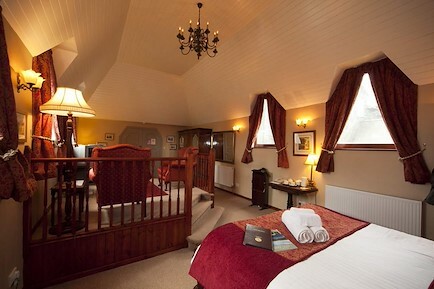 We also have 2 standard single rooms with full facilities but sharing the use of a large shower room along the hall. We use fair trade products in all the rooms and free range local eggs and local produce for our generous breakfasts. Dogs of all shapes and sizes are most welcome for a small fee. To check availability call 017687 72603. From Penrith on the A66 take the A591 to Keswick/Windermere. At the T-junction turn right towards the town centre, at the traffic lights turn left, then sharp left into Southey street, pass the small lane on your left then take the 2nd turning on the left (Hellvellyn Street). Next turn right onto Leonard Street and we are first on the left....we look forward to seeing you soon. Your enquiry will be sent directly to Greystoke House. Please fill in as much detail as you can.